The El Camino Real bells mark the route of the mission trail. The idea of marking the highway started with Miss Anna Pitcher in 1892 and was eventually made a reality by Mrs. A.S.C. Forbes of the California Federation of Women's Clubs beginning in 1906. Today, the California Department of Transportation (Caltrans) maintains the bells. Along the nearly 800 mile route of the El Camino Real in California there are hundreds of these bells which mark this historic highway connecting the missions. In Central California, most of them are seen along Highway 101, but not all. This week's photo was taken on Mission Street in San Miguel which parallels the highway. Each of the 21 California missions has one of these bells, as the El Camino Real was the highway which connected each of these outposts of the Spanish Empire back in the 18th and 19th centuries. 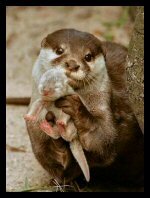 Originally the idea of Miss Anna Pitcher and carried out by Mrs. A.S.C. Forbes in 1906, these bells marking the route were back in those days the only guides for this route. The state generally didn't mark roadways (such as they were) during that time and any road signs were placed by individuals or private groups. The Automobile Association (AAA) was quite busy back then marking roads so that the early travelers in the new autos could find their way from one place to another. The El Camino Real started as a dirt foot and horse path between the missions. A commonly held "fact" is that the missions were built one day's walk from each other. A few are that close together, but most aren't. The Franciscan friars and the Spanish soldiers who first traversed this highway marked the road by carving crosses in large trees. There is an example of one of these carvings at Mission San Miguel. I suppose we're pretty well spoiled with our accurate maps and GPS systems which help us find our way. But it was rough business back then with long walks retracing their path if they took a wrong turn. The very first bell was installed in 1906 in front of the Old Plaza Church in Los Angeles. 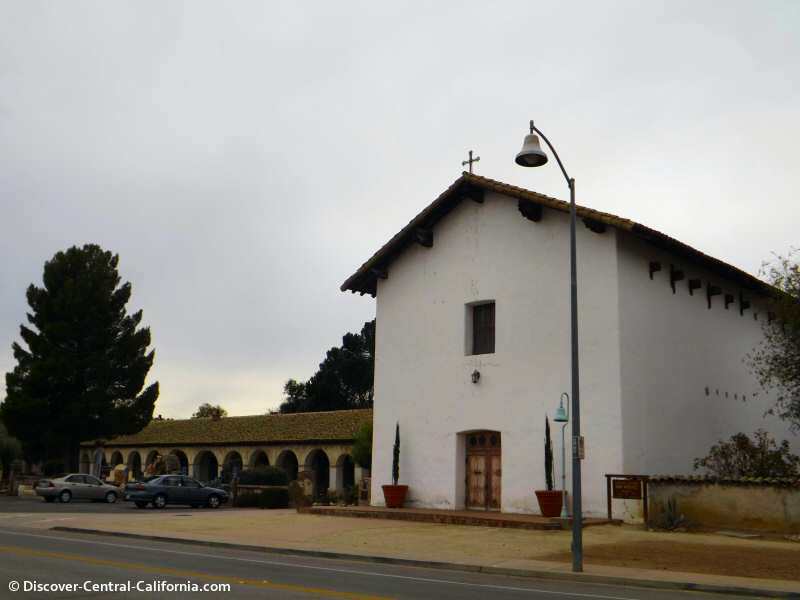 Seven years later, in 1913, over 400 bells had been placed along the El Camino. Unfortunately, after that good beginning, it seems that little attention was paid to maintenance and upkeep. Damage, vandalism and theft took their toll and the marker bells slowly disappeared from much of the El Camino Real. Bells along state highways are installed and maintained by the California Department of Transportation (see their page on the bells here); where the El Camino is now on local roads, the local county or city is responsible for them. The original bells were made by the California Bell Company, and which still makes the bells today. 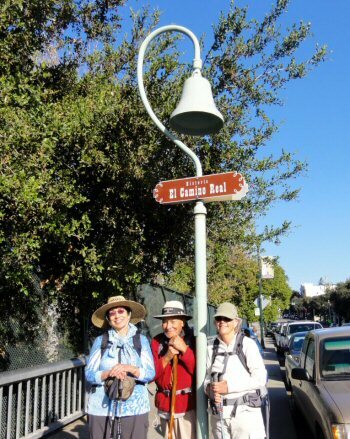 Pilgrim walkers along the El Camino Real. This is in Los Gatos and an example of a city installed bell. 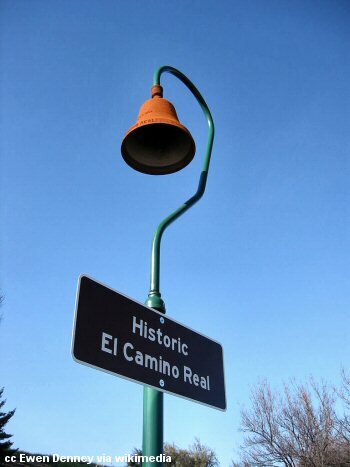 Beginning in 2001, Caltrans began a major project re-establishing the marker bells along the El Camino. By 2006, the centennial of the original placements, they had installed over 550 of the bells along the route. While theft of the bells still occurs unfortunately, the missing or damaged bells are being replaced. They are no longer necessary for finding our way, but they do show us the way back to the foundations of the state and its early history. Front view of Mission San Miguel. 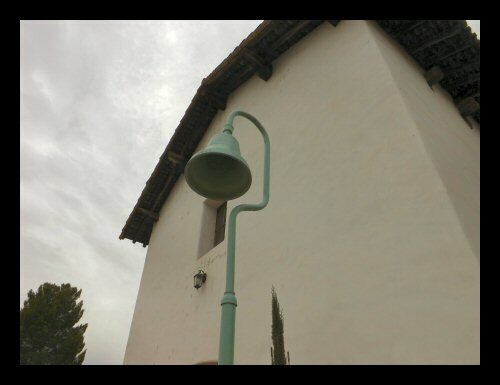 The small verdigris bell closest to the church is the actual El Camino Real bell at this location. The larger bell in front at the edge of the street is a streetlight with its shade in the same shape as the El Camino bells. There are two other streetlights like this further to the south (or left in this photo).